Building on knowledge from our MiRo-B, which is being used by researchers and developers in Universities around the World, we have completely re-engineered MiRo’s mechatronics and software to create an ideal companion that has been evolved for education. MiRo-E with students at a School in North London, UK. 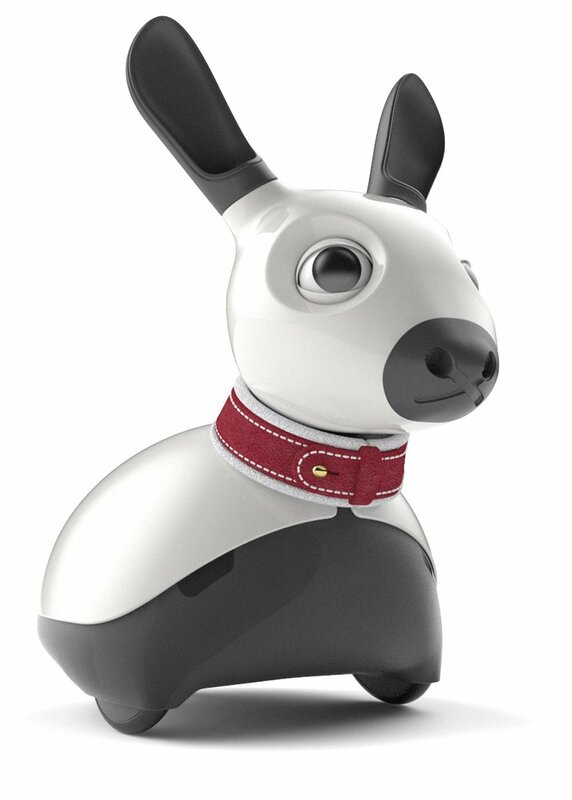 Touch MiRo-E and watch him purr, light up, move its ears and wag its tail. MiRo-E has been built on years of technical research and multiple MiRo iterations! 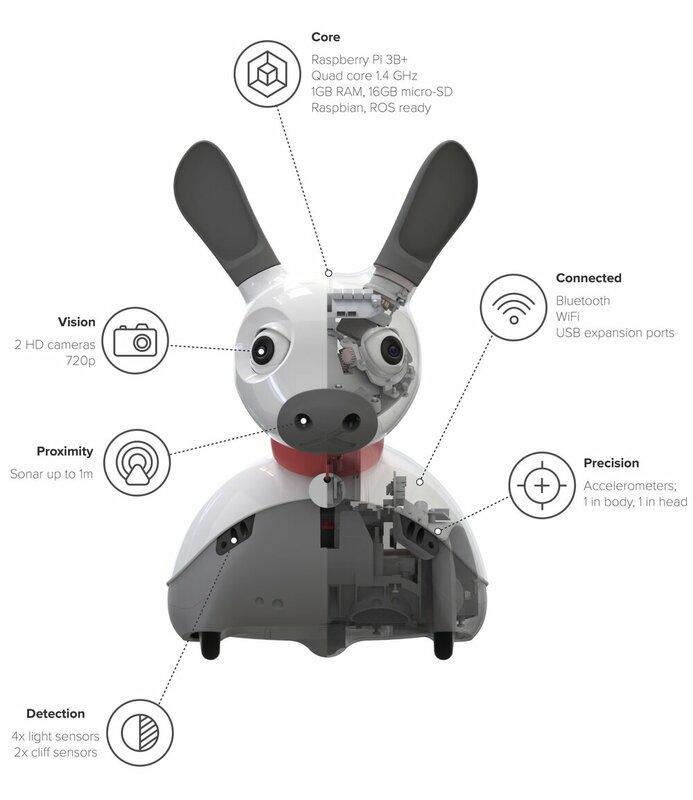 MiRo-E is jam-packed with a wide range of sensors, significant degrees of freedom of which many provide MiRo-E’s excellent expressive communication abilities. A Raspberry Pi 3B+ core provides a familiar and versatile base for coders of all ages! MiRo-E has been pre-assembled and is ready to go! Setup is simple: just connect the batteries, that's it. We’ve designed MiRo-E to be repairable by the end user, as far as possible. This means no more costly repairs or lengthy time lags waiting for your robot to be repaired in another continent when things go wrong. And if any issues do pop up, we have a top notch support team who aim to answer any questions as painlessly as possible. Visit our FAQ or visit our Support Forum for help! Put in your email address and we will share MiRo’s progress! 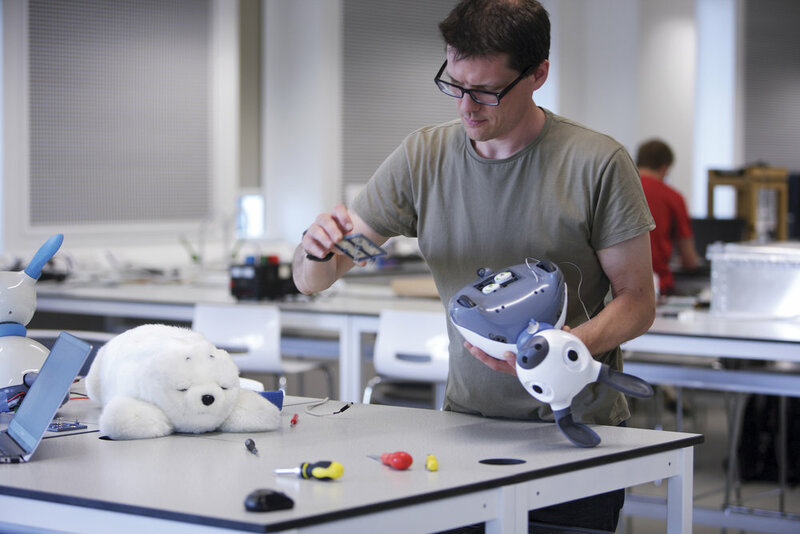 MiRo-E is on a mission to make robotic coding personable & experimental for young people. Learn to program a robot and solve problems, one piece of code at a time.